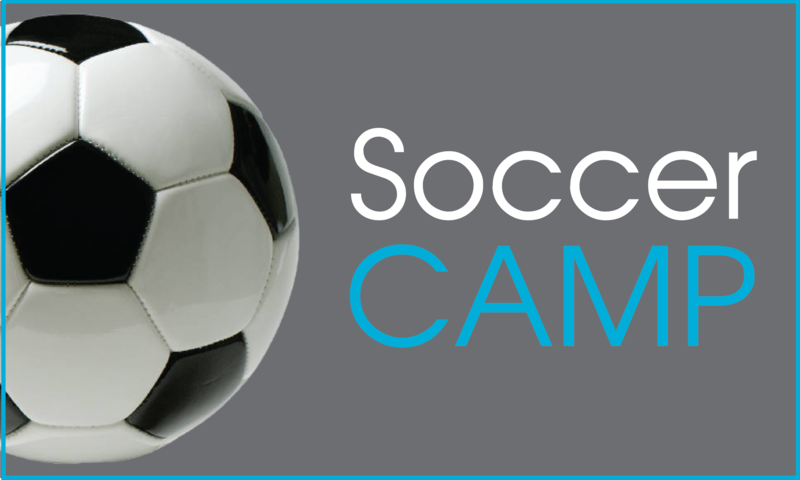 Join us for our fun and fast-paced Flag Football Camp! Instead of tackling, LINX Camps Flag Football players grab flags from the belts of opposing players. 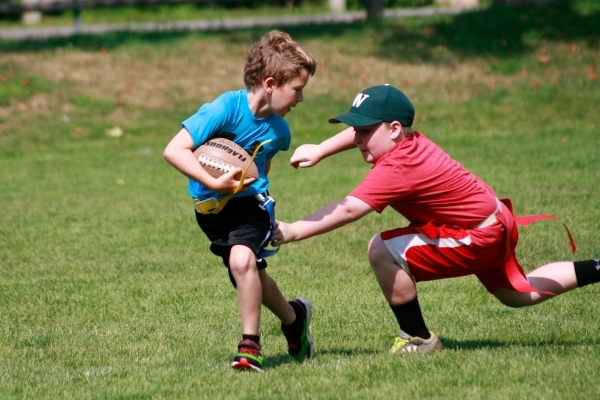 Flag Football gives campers a chance to learn and play quarterback, running back and wide receiver positions, while also learning a variety of basics including passing patterns, blocking formations and hand-offs. Campers also focus on agility and scrimmage. 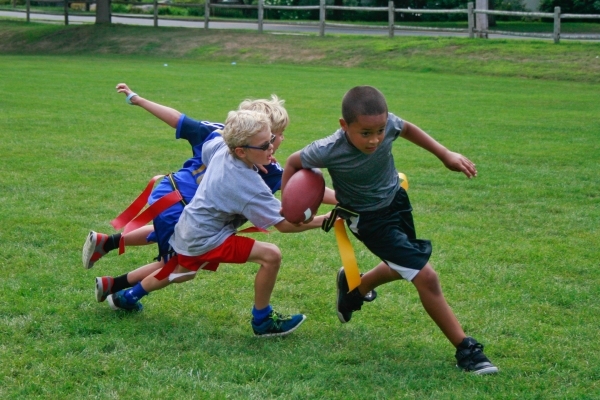 All LINX Flag Football Campers receive equal playing time in all positions, benefiting from the opportunity to gain an understanding of the game from our expert coaches and counselors. 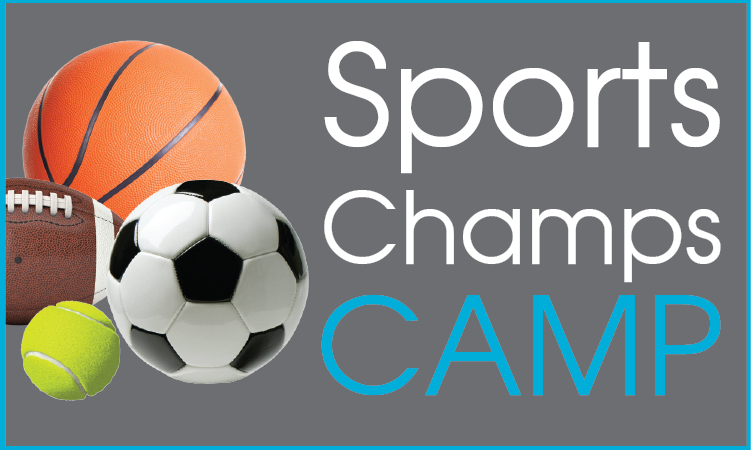 Team Challenges, Record Breaking Games and "Beat the Coach" Activities are all part of the game! 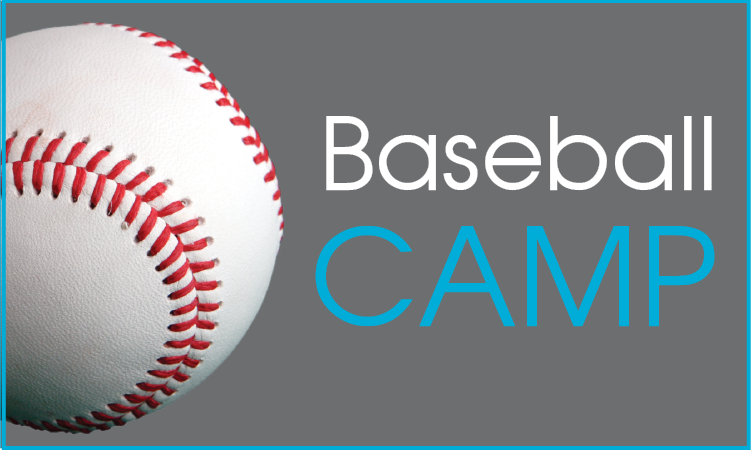 Emphasis is placed on the development of key skills, practicing good sportsmanship, and learning the importance of dedication and perseverance. Days at LINX Camps are typically spent laughing and learning with friends! 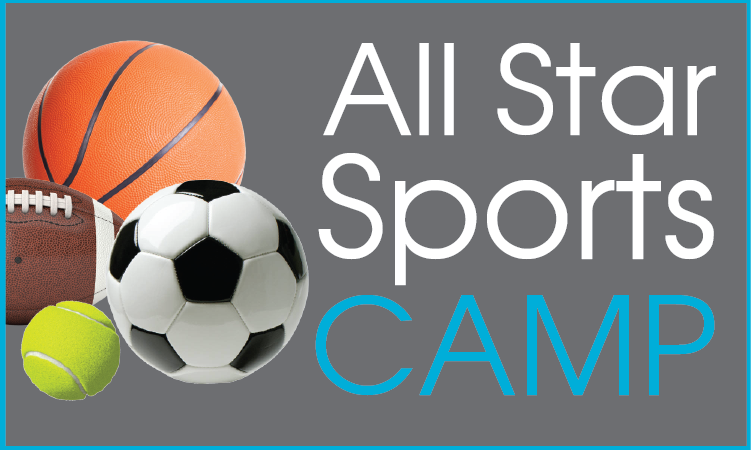 Flag Football Camp includes three daily sports intensives, a lunch period, a swim period (including lessons from trained LINX Swim Instructors who implement our safe, fun-based, non-stress approach to teaching), and a bonus camp activity period. 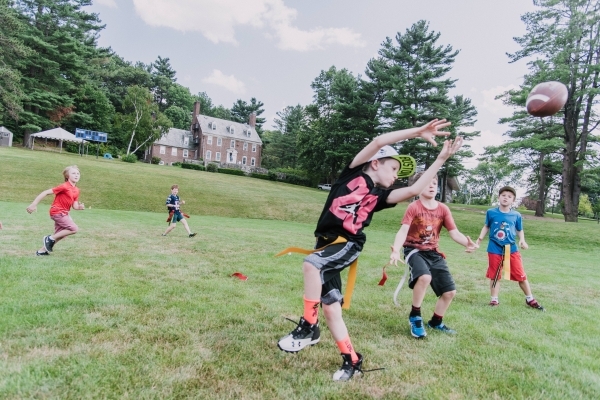 While Flag Football Campers are immersed in sports sessions for half the day, they also have the opportunity to interact with non-flag football camp friends during opening and closing ceremonies, as well as lunch. 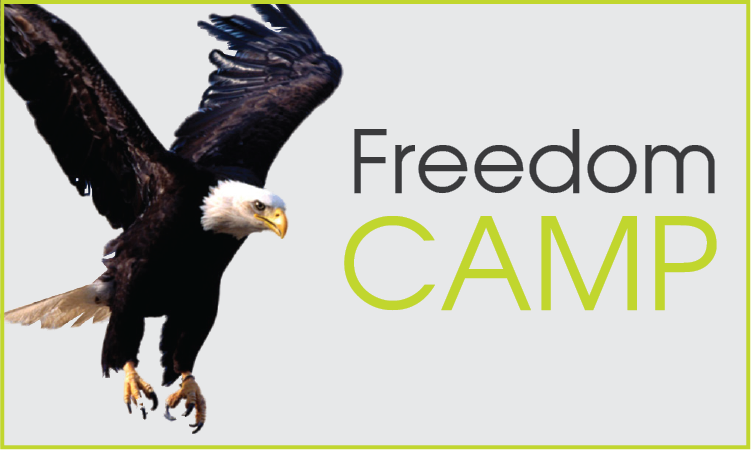 Our popular camp-wide activities help us to build a sense of camp community. Paul is a graduate of Bridgewater State University, and was the football team’s Defensive Lineman (2009 to 2012), winning awards that included 2-time Defensive Player of the year and MVP. His professional sports accomplishments include playing Defensive Lineman, Fullback, and Team Captain (2012 – 2014) for Green Bay Blizzard, a professional indoor football league based in Wisconsin. In 2015 he was a fullback and part of the playoff-qualifying team for the Lehigh Valley Steelhawks.